She's changed her diet, but says she's not working out. 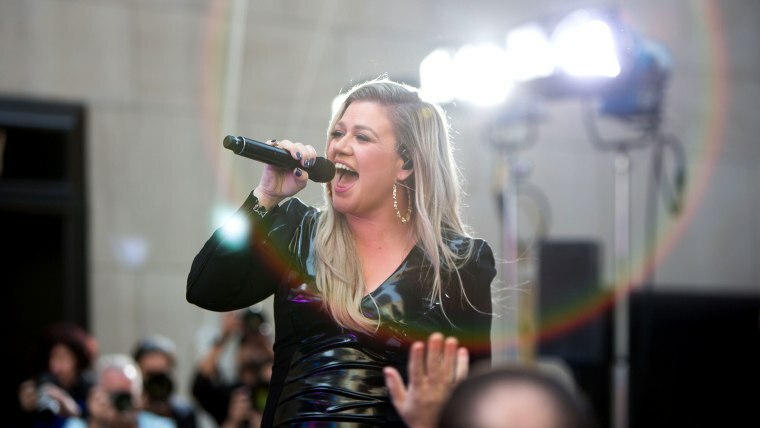 Kelly Clarkson always looks good to us. But following recent appearances on "The Voice," the Billboard Music Awards, and a Citi Summer Concert performance on the TODAY plaza, many fans have noticed Clarkson's weight loss. Turns out, she's found a way to cope with an autoimmune disease and thyroid condition that emerged in 2006 — and in the process has dropped 37 pounds. It all came from reading a book, "The Plant Paradox," by Steven R. Gundry, MD, she told Extra. "It's basically about how we cook our food, non-GMO, no pesticides, eating really organic," she explained. The weight loss was a "side effect," she explained to TODAY's Hoda Kotb after her concert. "I know the industry loves the weight gone, but for me it wasn't (about) the weight," she said. "For me, it was 'I'm not on my medicine any more.'" That's right: she's been able to control that autoimmune disease and her thyroid condition through eating different foods. "I don't really take medicine unless I absolutely need it," she said. Thyroid conditions are more common than you might think. According to the American Association of Clinical Endocrinologists, about 30 million Americans — or 12 percent of the U.S. population — will develop a thyroid disorder in their lifetime. That said, Clarkson is not skimping on the important foods; Clarkson still enjoys cake. But these days, her cake will be made with tapioca or almond flour, for example. There is a downside, however. "It's really expensive to do," she admitted. "I was poor growing up and there was no way my family could have afforded this." She also claims not to exercise (though we'd say a concert tour is a form of cardio). "I don't work out," she said. "I should ... I do wine instead." We always knew she was part of the TODAY family for a reason!